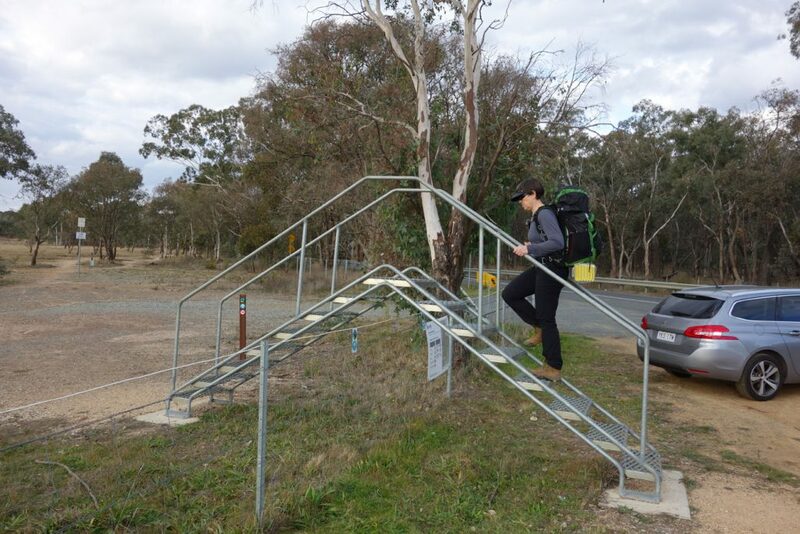 The walk to the Northern Campground from the Mulligans Flat Road car park is just on 3.1 km each way on a reasonably well marked path, part of which forms the Canberra Centenary Trail. 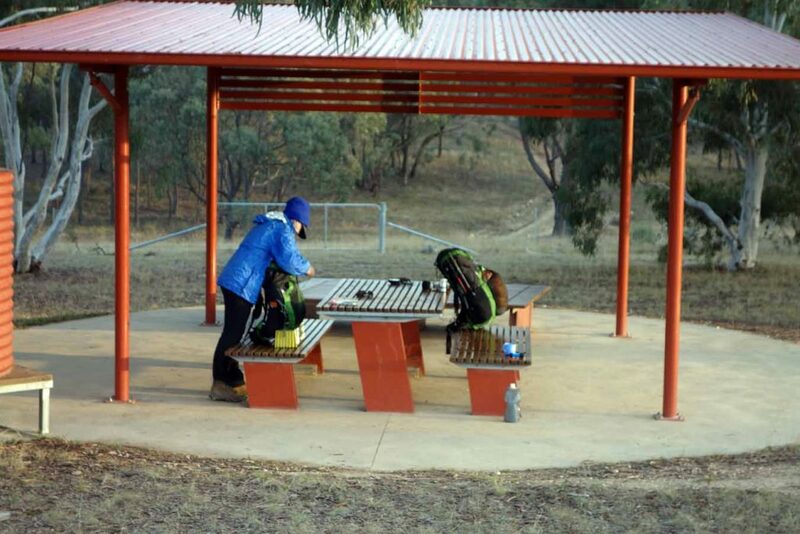 This is an easy day walk to an excellent campsite if you are feeling withdrawal symptoms from the outdoors or you have never camped before. 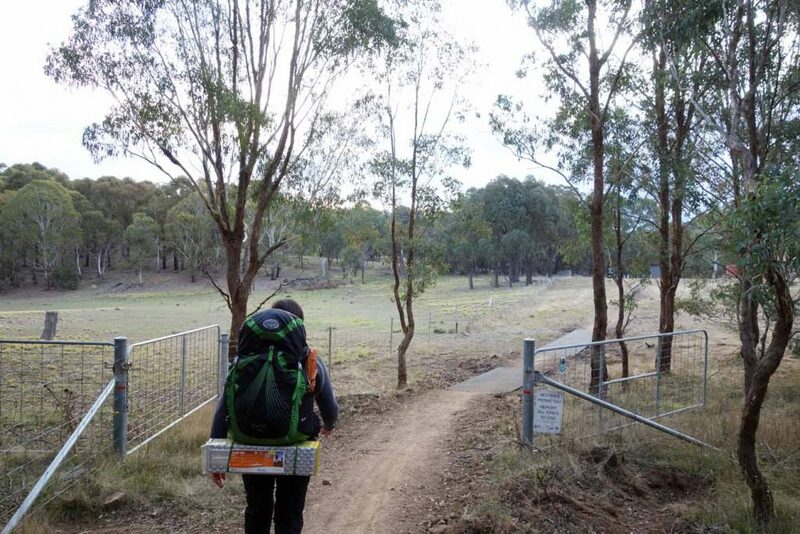 The walk starts on the edge of the suburbs of Bonner and Forde which is well under 30 minutes drive from the centre of Canberra. 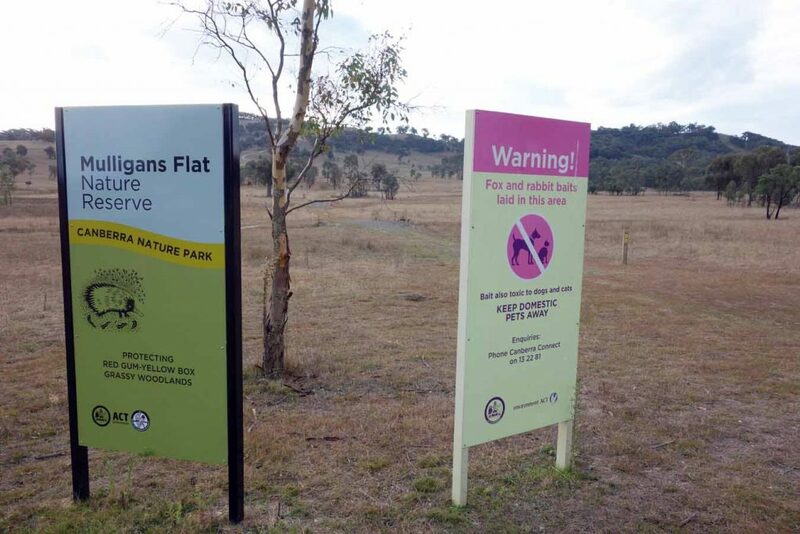 You start this walk with the suburbs in full view across the Mulligans Flat Nature Reserve. 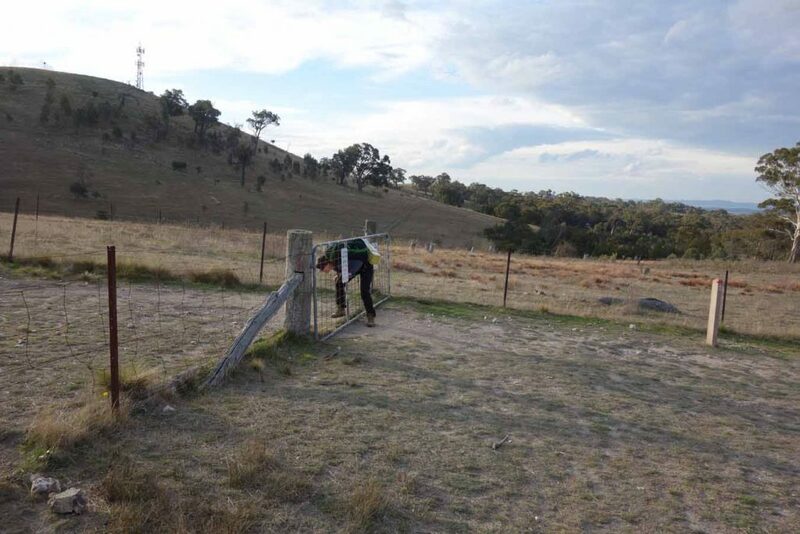 Access to the reserve is either by crossing a stile or walking over the nearby horse access. 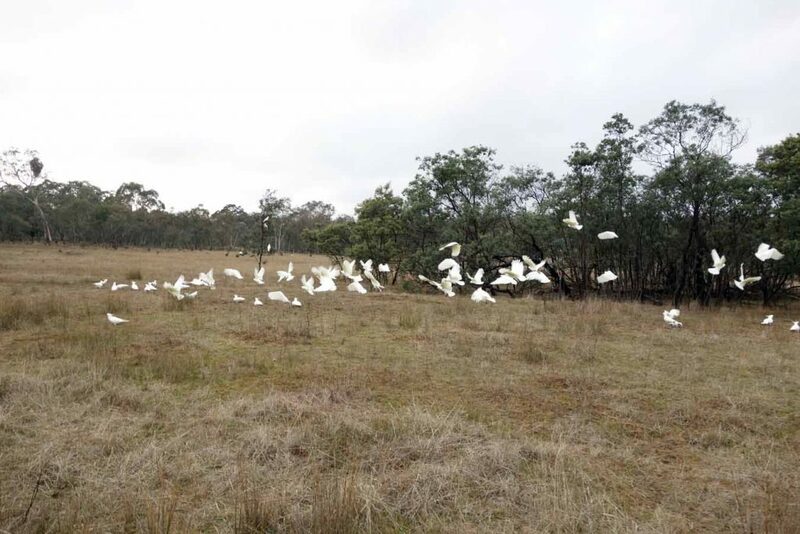 The first kilometre of the walk is through a grassland sparsley dotted with taller trees and shrubs which houses one of Canberra’s largest kangaroo concentrations. On the walk I did this write up, I stopped counting at 100 roo’s. 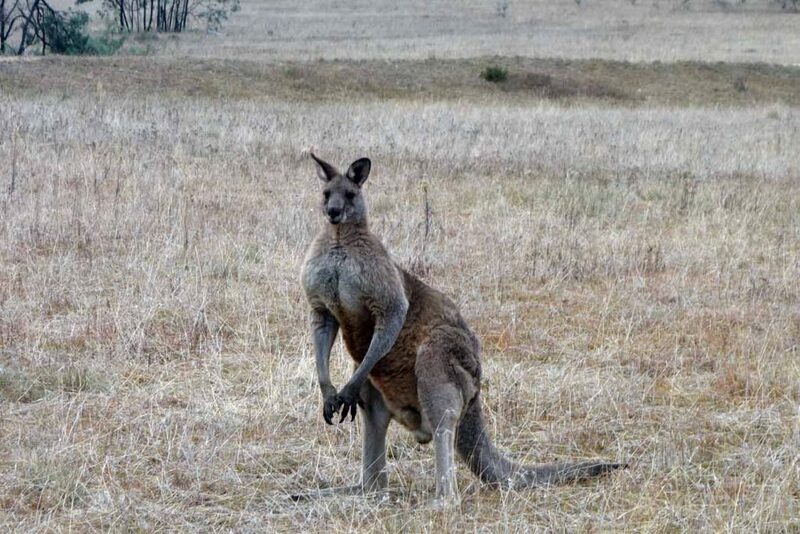 I’ve seen some pretty big kangaroos in my life but without a doubt the large male we spotted near the car park on the return leg of the trip is the largest kangaroo I have ever seen. He was close on two metres tall and very healthy. With plenty of food and water its not surprising. 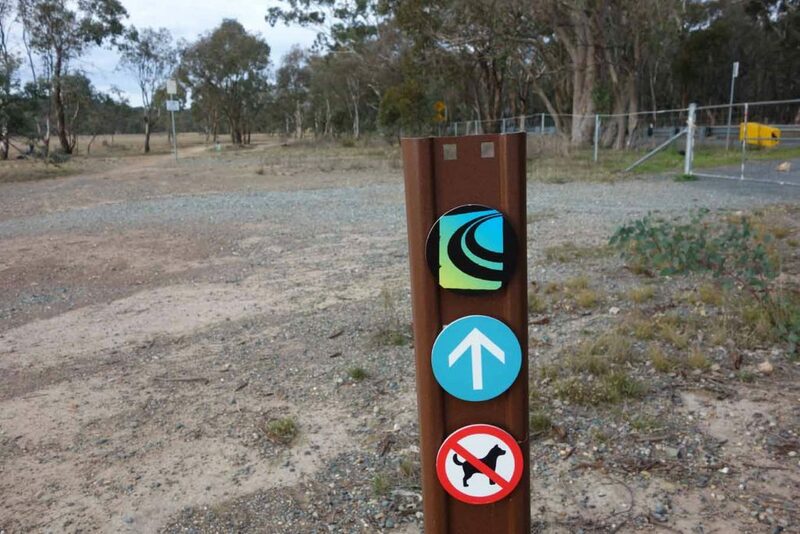 The trail starts on the Golden Sun Moth Walk but as you reach the other side of the main paddock, the Golden Sun Moth Walk diverges to the left (follow the signs). 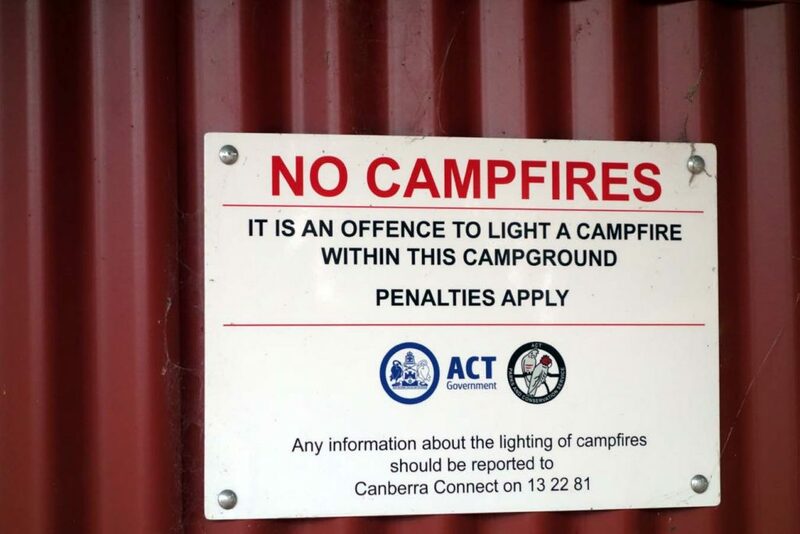 To reach the Northern Campground turn right and follow the fence line up the hill until you come to a gate. 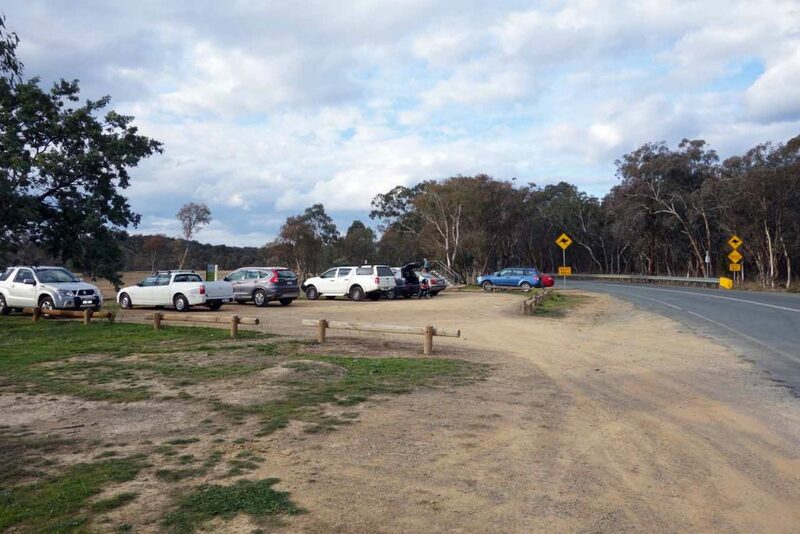 At this point you converge back on to the Canberra Centenary Trail and you are now heading along the well marked path to the Northern Campground. 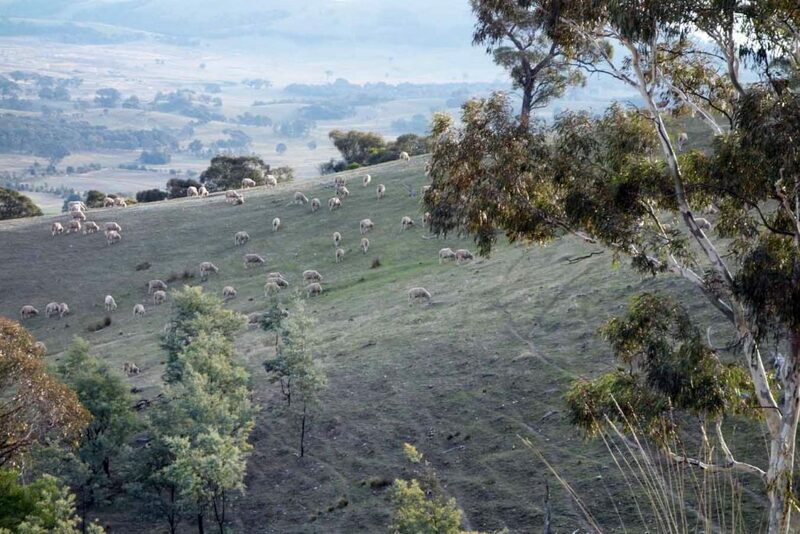 Once you go through the gate you will walk along the ridge line and provides excellent views of northern Canberra and of the still working farm below. After a steady but short incline you will reach the highest point on this trip at Oak Hill. 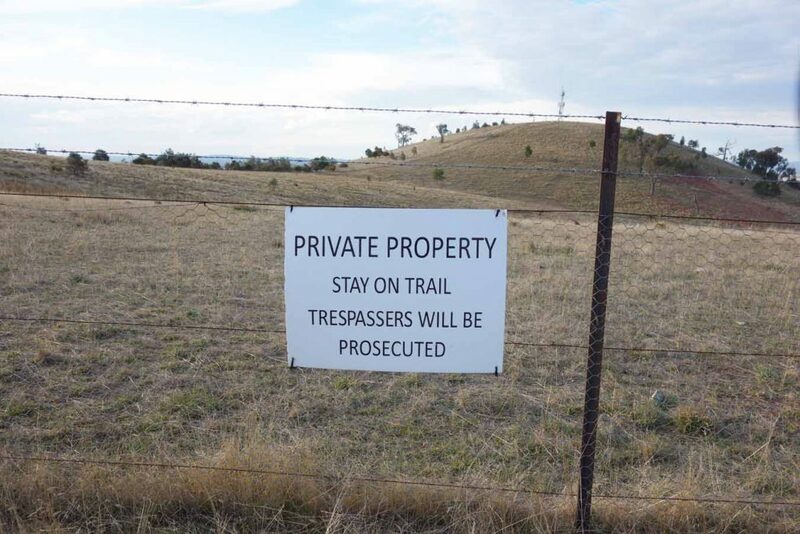 Stay on the trail as crossing over the fencing on either side will take you onto private property. From Oak Hill you can see to the centre of Canberra and down to the southern town centre of Woden and beyond so this is a good opportunity for some panorama shots of northern and central Canberra. Continue along the ridge a short distance and you start your descent down the hill and its short switchbacks that lead to the campsite. The average hiker will comfortably do this walk to the Northern Campground in under an hour, or allow 2-2.5 hours if you are doing the return walk in one day. 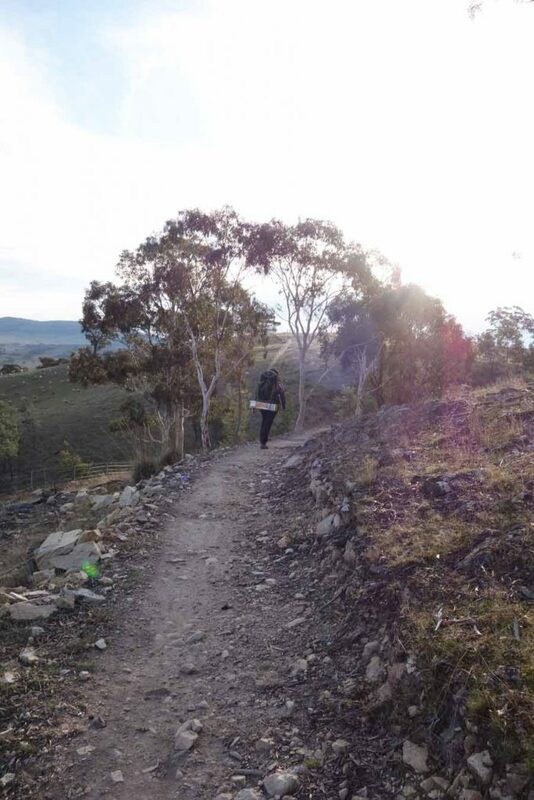 The final approach towards the Campground is steepish for walkers but if you ever do this on a pushbike be aware that as you approach the bottom of this hill you have a 90 degree turn so you don’t want to be going too fast otherwise you either hit the tree, or the warning sign (there is nowhere else to go) if you are going too fast to stop. Once you have made this turn its another 30 metres and you are into the Northern Campground paddock. 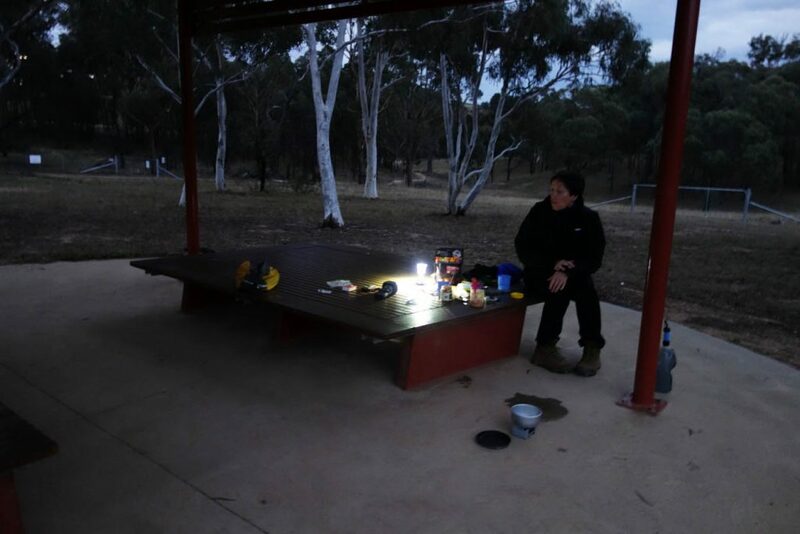 This paddock has a camping shelter that will comfortably fit two tents, another shelter with a table and benches, a tent platform, a toilet facility and two water tanks. In addition to the built structures there is also enough room to pitch tents throughout the paddock for potentially a maximum of 20 people. 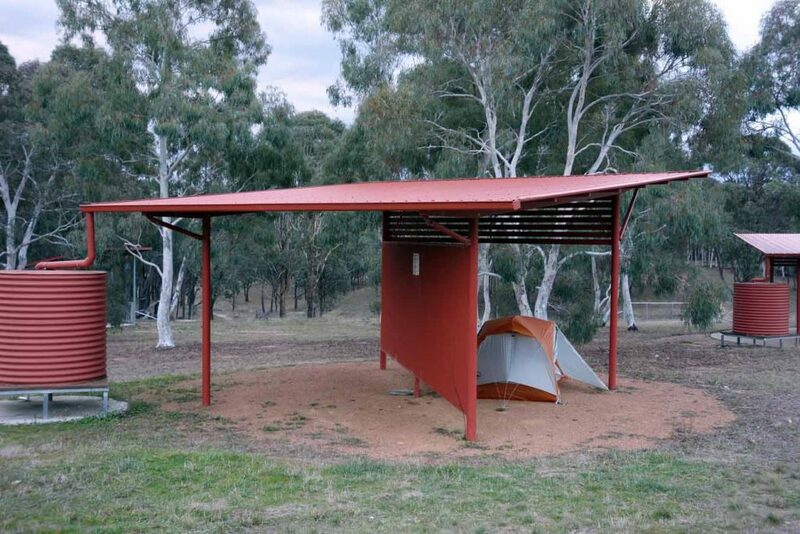 If you camp under the shelter with the divider, try to avoid the trail side as early morning walkers or late evening bike riders will come reasonably close to your tent as they pass. The return trip starts with a walk up to Oak Hill then back down the way you came the day before to the car park at the start of the trip. 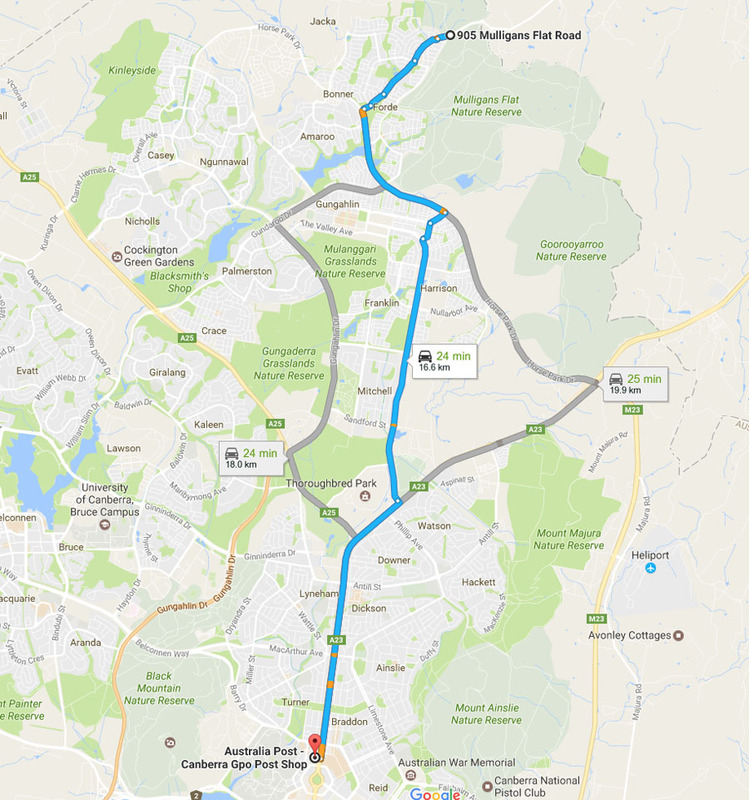 If you are feeling fit you can walk the 18 km (approximately) to the township of Hall from Mulligans Flat and either have a car waiting at each end or have someone pick you up. 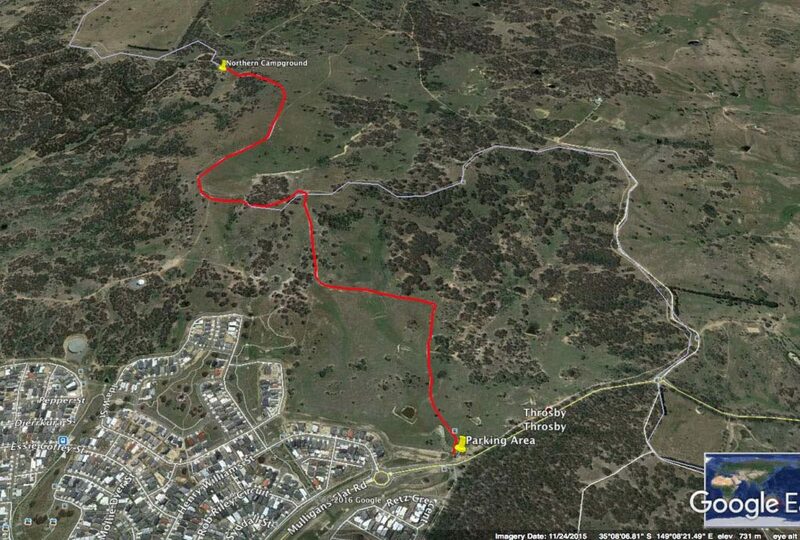 If you are really looking for a challenge walk from Mulligans Flat to the township of Hall and return for a 36 km trip. 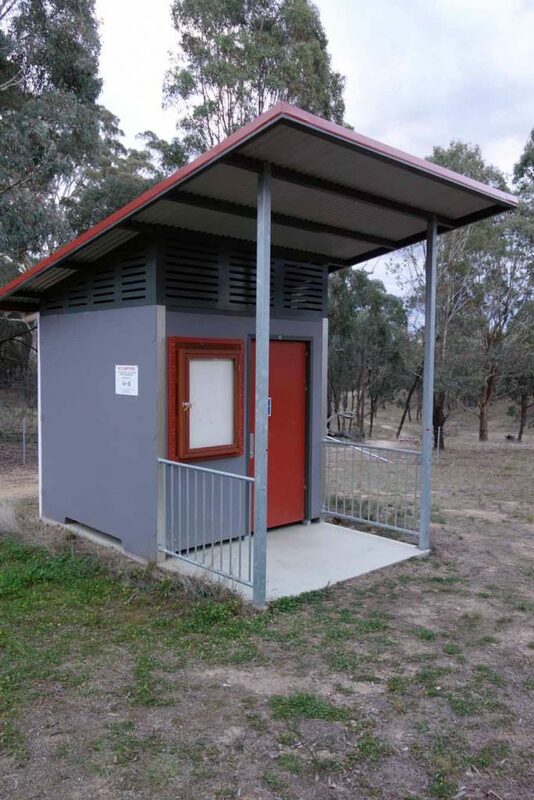 There are two water tanks at this site. Only one tank has a formal faucet. 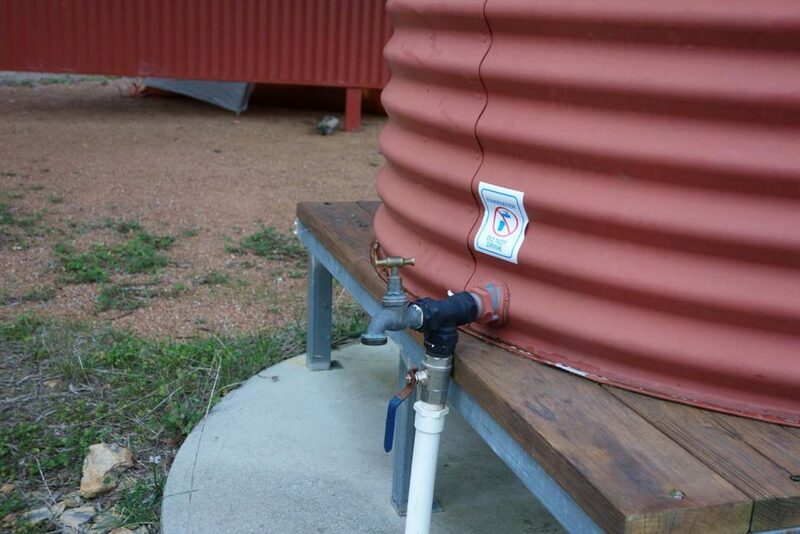 The other has a farm type valve which is hard to get water out of without wasting.